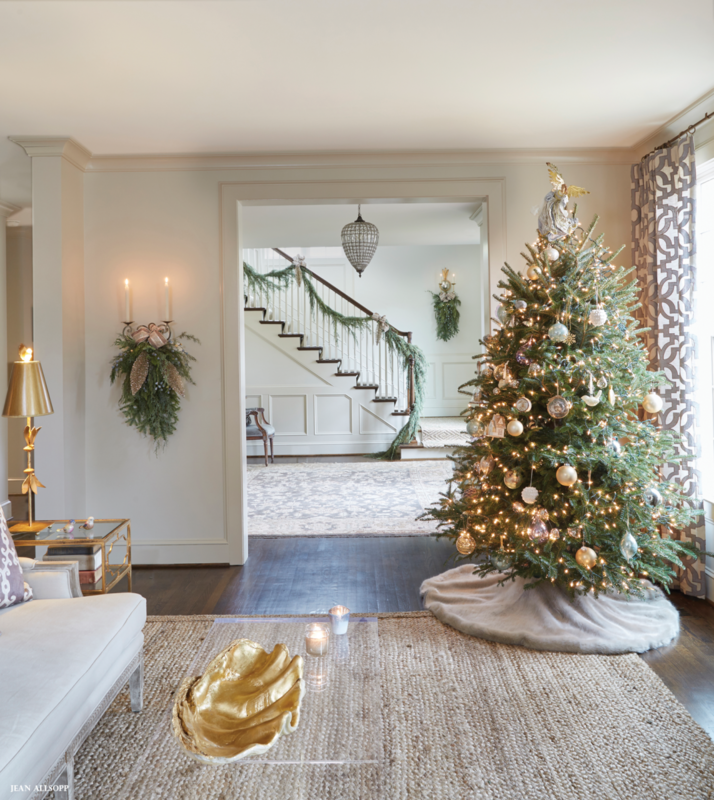 When it was time for the house to make its Christmas debut for a neighborhood party, the homeowner enlisted the talents of Leah Hazzard of 3 Graces Design to work her floral magic. “We wanted the decorations to complement the perfectly curated interiors, so we were mindful to create calm, elegant designs, ” says Leah. 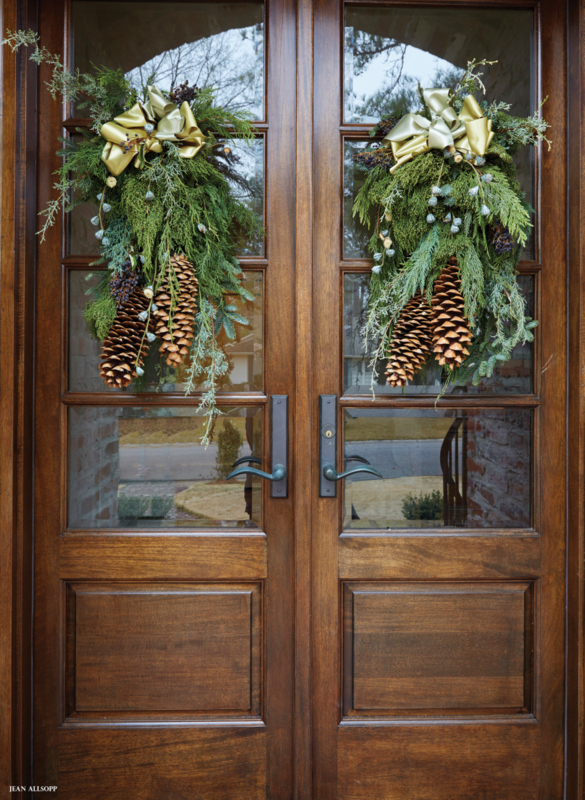 To accomplish this, she used a lot of unadorned cedar garlands, eucalyptus pods, and amaryllis with pretty ribbons in shades of silver, sage, taupe, and blue. 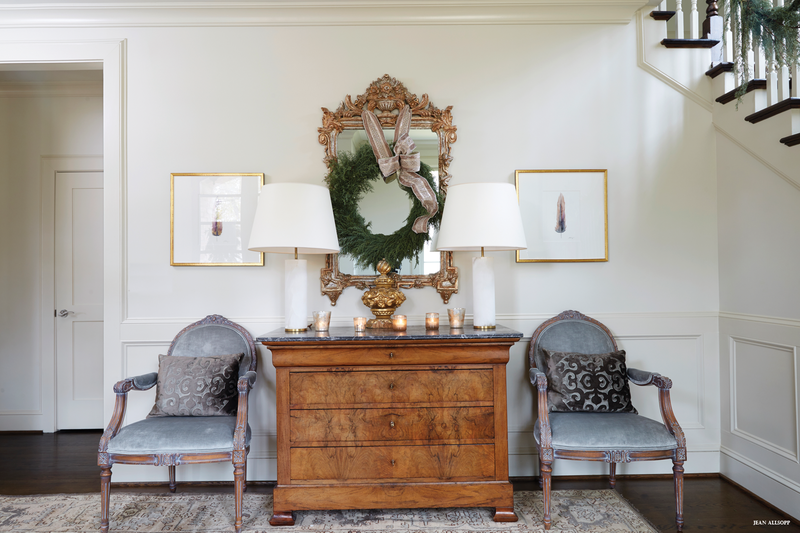 With these holiday touches layered in, the house looks appropriately festive and, well, very grown-up. 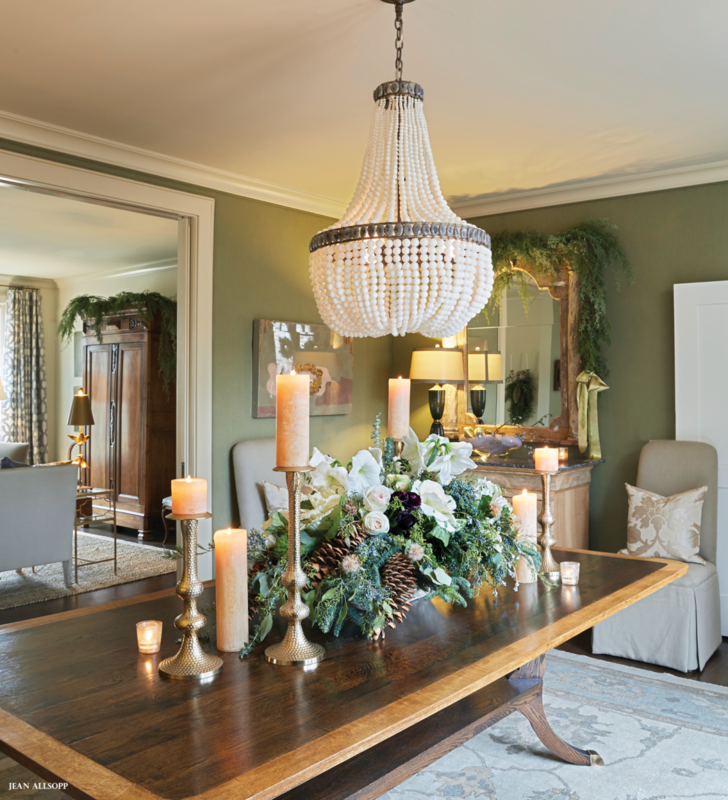 ABOVE LEFT When decorating the house for a neighborhood Christmas party, Leah Hazzard of 3 Graces Design used a light touch with lots of greenery adorned with bows. The white-and-green palette for the floral arrangements in the dining room and kitchen includes amaryllis, paperwhites, and roses. ABOVE “We decided to go all in with the blues in the family room, ” says Lisa. 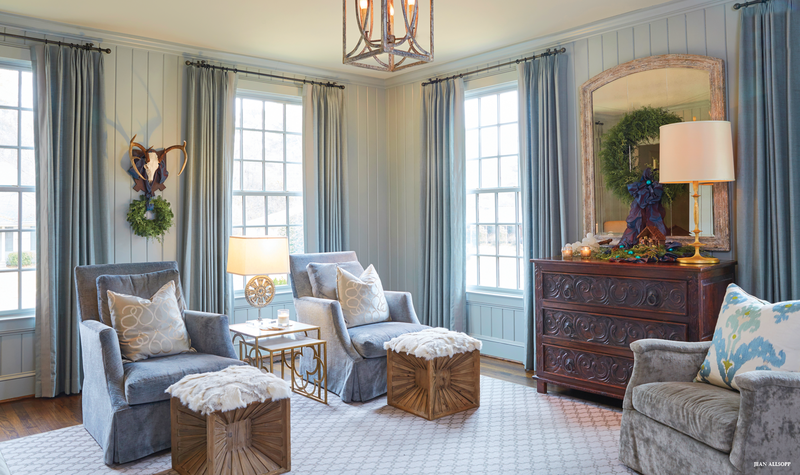 “We painted the paneling and chose blue window treatments as well.” A wood chest and fur-topped ottomans stand out against the soft color palette. ABOVE In the kitchen, Leah created an arrangement with live and cut florals including decorative cabbage, paper white narsisius, amarylis, and hydrangea.